Shorty Flatbread – (below, far left) red wine braised beef short rib, butter roasted mushrooms, goat cheese, pickled red onions, cerignola olives and Parmesan. 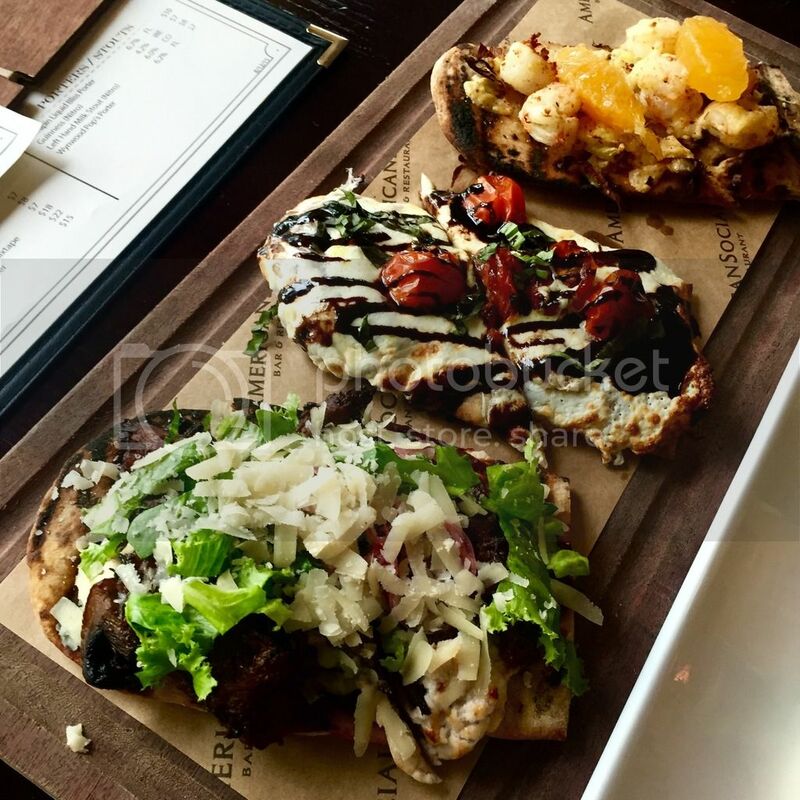 Heriloom Margherita Flatbread – (below, middle) heirloom tomatoes, fresh mozzarella cheese, basil and balsamic glaze. Rock Shrimp Flatbread – (below, far right) rock shrimp, Florida oranges, leeks, thyme, ancho spice and prima donna cheese. 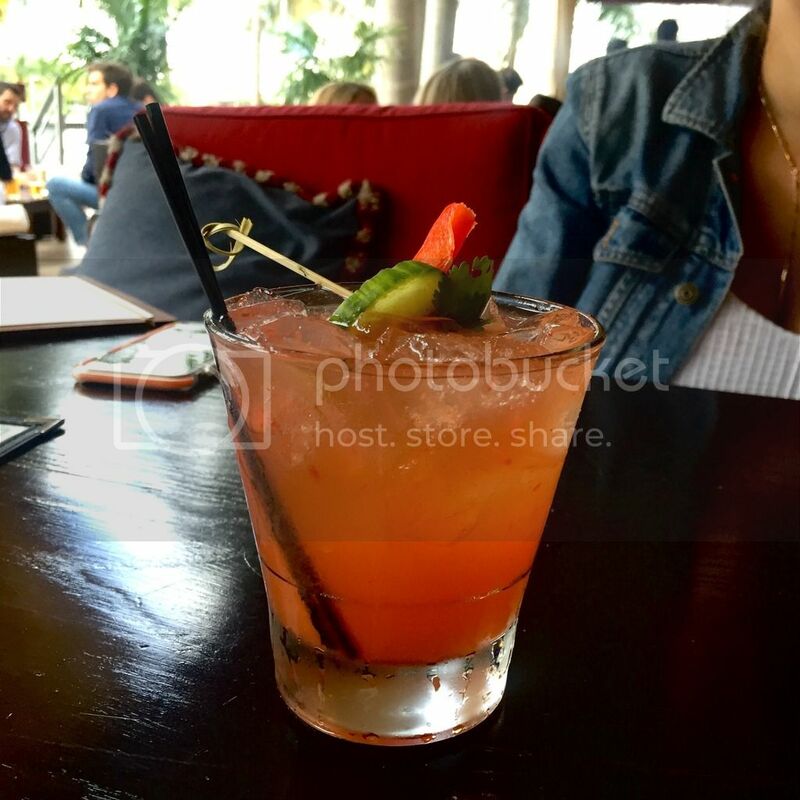 Christmas In Mexico – (our favorite, below) Bacardi 8, St. Germain, strawberry, dash of sriracha and fresh lime juice. 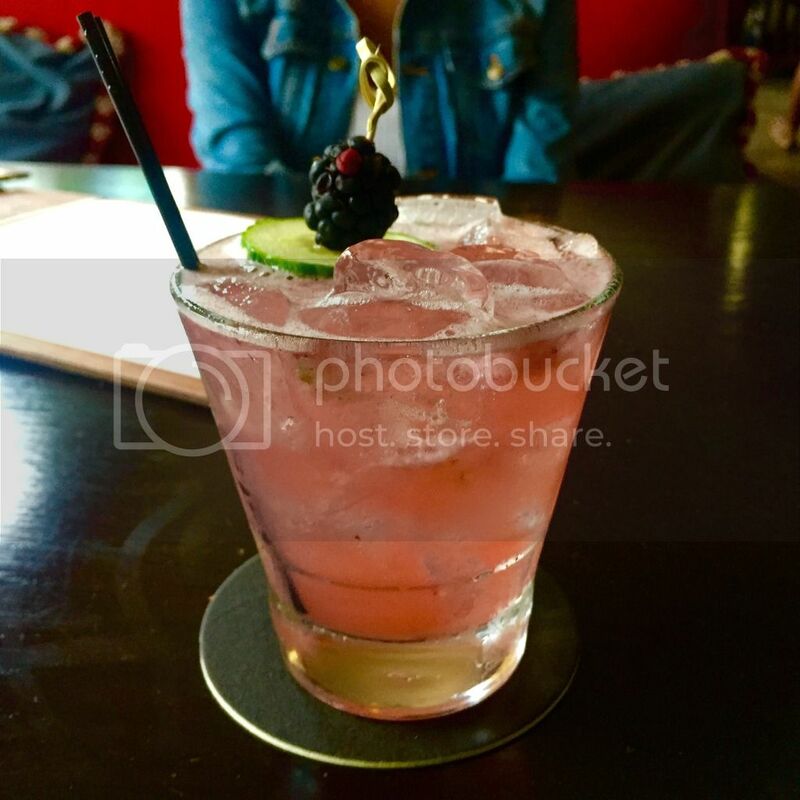 The Awkward Italian – (below) Grey Goose, St. Germain, basil, blackberry, cucumber and fresh lemon juice. 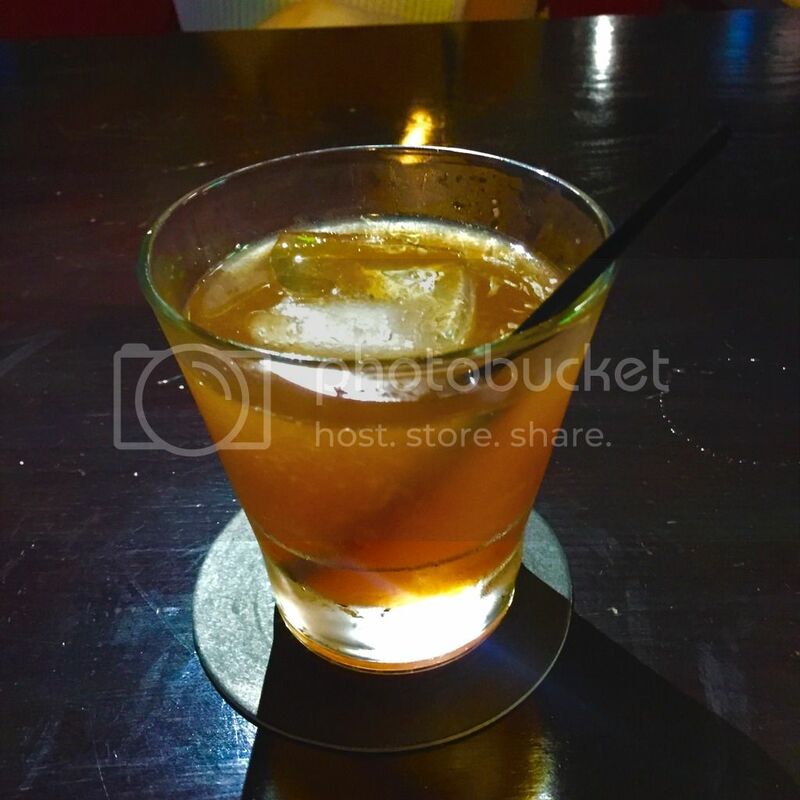 Smoked Old Fashioned – (another favorite, below) Basil Hayden, simple syrup, bitter and orange peel. 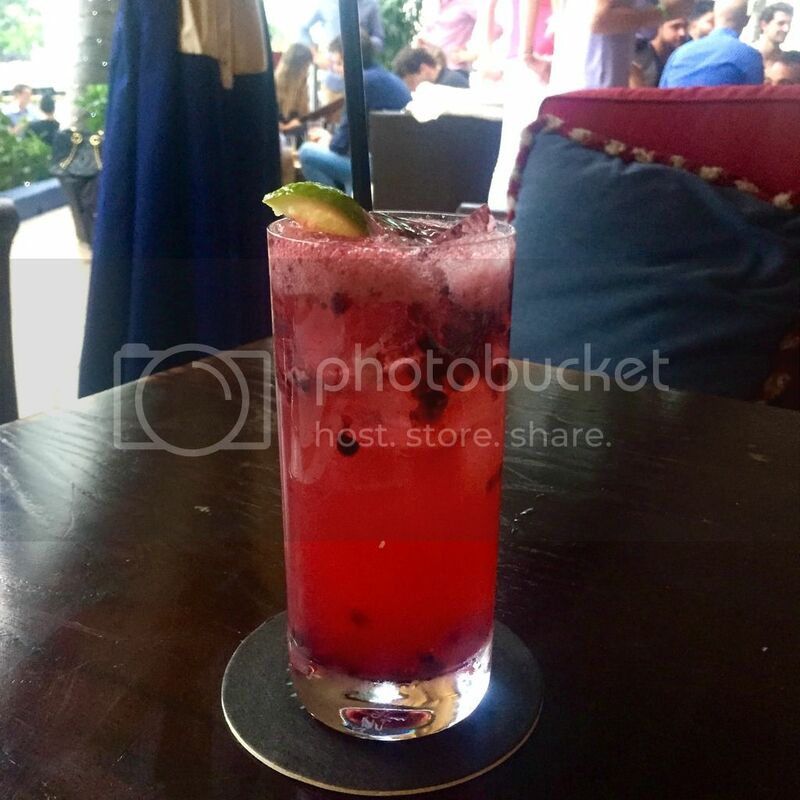 Blackberry Collins – (below) Belvedere, fresh blackberries, fresh limes and simple syrup. Amso – LTO, Amso sauce, American cheese and a challah bun. Winey Goat – lamb and beef blend, red wine goat cheese tomato jam, pickled red onion and chicory on a toasted challah bun. Black Truffle Short Rib – red wine braised short rib, black truffle aioli, black pepper pecorino, chicory, potato sticks and a challah bun. 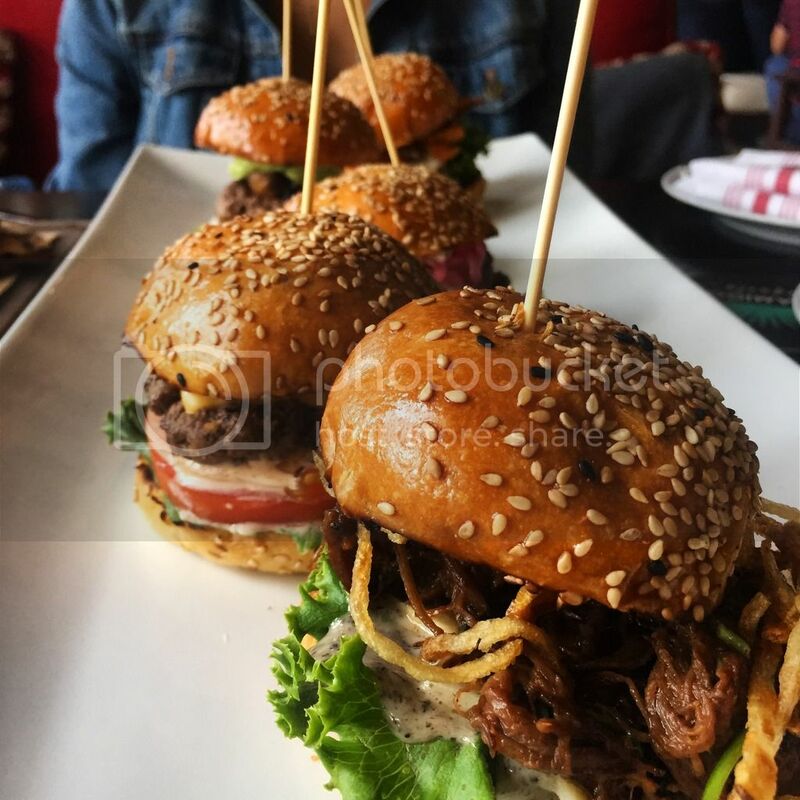 The Meatropolis – (not pictured) Amso beef/bacon blend, roasted mushrooms, red onion marmalade, avocado mousse, garlic aioli, blue cheese sauce, bibb lettuce, tomato and a challah bun. The Scene: American Social hosts a diverse crowd that ranges from young hip urbanites to well-dressed professionals to mature couples and groups. Here you’ll find the Cool Uncle and his golfing buddies, the fabulous young Downtown socialite and her girlfriends, the power suits and the frat bros. The coolest thing about AMSO’s Social Hour is that despite the crowd’s colorful variety, everybody seems like they belong. It’s a larger, more Miami version of the neighborhood bar and an ideal stop for either post-work unwinding or pre-game fun.